A HIGH Court judge yesterday advised 65 new lawyers that they must let personal integrity be the cornerstone of their professional lives and they must to all to safeguard the country's independent judicial system. The advice came from Justice Carla Brown-Antoine after Chief Justice Ivor Archie welcomed the 65 who were called to the bar yesterday at the Hall of Justice in Port of Spain. 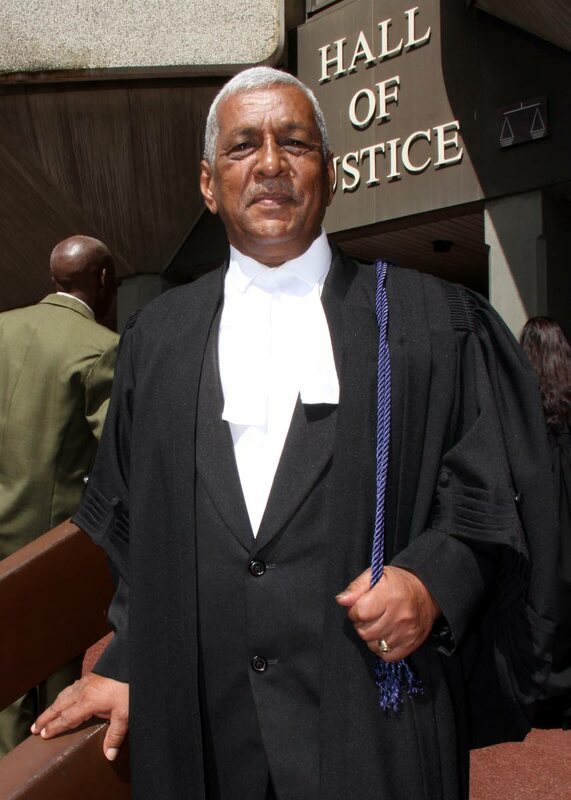 Among the new lawyers were retired permanent secretary in the Ministry of Public Utilities Chrisendath Mahabir, 69, and Akiri Heath-Adams, nephew of senior criminal attorney John Heath. He then handed over to Justice Carla Brown-Antoine, who gave the newly admitted practitioners words of advice and in so doing, at times appeared to knock some practising lawyers and their modus operandi. “Today more than ever, in light of the challenges facing our nation, particularly in relation to rising crime, our population is focusing on the efficacy of our legal system to deliver justice. You are now part of that system. Each of you is now a trustee charged with protecting an independent legal profession, the rule of law and our constitutional principles. “You have each taken that oath that you will conduct yourself in the practice of law in truth and with honesty, to the best of your knowledge and ability and in accordance with the laws of TT. You should always be true to the oath you have just taken,” Brown-Antoine advised. Brown-Antoine added that personal integrity is the hallmark of the practice of law. She said that while the legal profession has changed over the years, the enduring values of courtesy, respect, integrity and professionalism remain essential and applicable. She told the lawyers to adopt these values so as to earn and gain a reputation of being good, honest, hard-working and dependable attorneys. “You will earn respect, a good living, and most of all, the peace that comes of a clear conscience. You are starting off on a clean slate with a good reputation, this should be your most prized possession...guard it jealously. "You, the new generation of attorneys have an opportunity to change the general perception of lawyers and to restore the honour the profession once had but to do this you must be brave, you must be bold. You must stand up and stand out,” she advised. Reply to "Protect judicial system"